LED Button - 1 button located at the top allows you to control the LED freely. 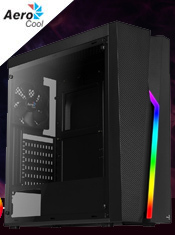 Water-Cooling Support - The front supports 240mm radiator and the back of the case supports a 120mm radiator. 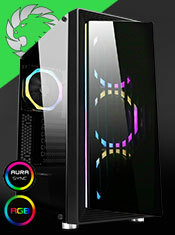 Fans - 3 x 120mm RGB fans on the front which are included gives the case added colour. 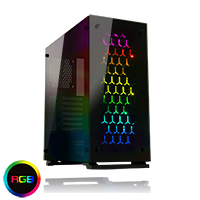 Side Cover - Both side panels are made using tempered glass so the user can show off their internal components. Please Note - The images Showing System Builds Are For Reference Only.